My old friend Scott sent me a link to an article in Business Insider about Tony Bloom and Starlizard. It's a good read, as are most of Scott's recommendations, although with rather too many references to Brighton and Hove Albion for my liking, and the "vying for promotion to the Premier League next season" line was particularly disturbing. As I have previously mentioned, a relative works in the football betting industry, so much of the business model and the scale of the operation is not new to me. "I wanted to gamble because I enjoyed it and, therefore, I needed to do it properly in order to win." "Early on I was a hopeless gambler really, I liked to think that I understood the form and had a strategy but I was just guessing really." "At university I made myself a promise that I would become fiercely disciplined. I wanted to gamble because I enjoyed it and therefore I needed to do it properly in order to win. I didn't want to lose my money." "They don't beat the market all the time, just enough times." "We're not trying to say this is going to happen, we're trying to say this will happen with a certain probability. If our probabilities are better than those of the bookmakers, then, in the long run, our clients will win money." "...as the years have worn on it has got harder and harder to beat the bookies, with razor-thin margins squeezed even more"
I was also a little surprised to see Keith Sobey referenced in the article, albeit with a quote from back in 2010. As readers of this blog will know, Mr Sobey was the man behind, the not so magnifico, Galileo, "a previous sports-gambling fund managed by Centaur Global Ltd., which folded in 2012 owing creditors more than 2 million pounds ($3 million)". "Centaur overstretched itself while still working on such algorithms when it opened its sports fund in 2010, according to Poots. Former Centaur CEO Keith Sobey couldn’t immediately be reached for comment". Priomha employs three statisticians to work with traders, and bases as little as 20 percent of decision-making on “qualitative” judgment, such as the effect on a team of the injury of a key player, Poots said. It hedges betting to offset potential losses. Even if the fund’s model is effective, its expansion will be restricted by the volume of regulated betting in sports, according to Peter Blake, founder of Hook, England-based Bet Angel Ltd., which sells software to help individuals to wager on sports trading exchanges such as Betfair Plc. Interesting to note that while Priomha bases "as little as 20% of decision-making on 'qualitative' judgment", Starlizard makes "cold, calculated decisions about where to stake cash, separating the decision-making from the money and making it as mathematical as possible — no gut feelings". My gut feeling is to be very wary of investing with Priomha. 20% is a lot! Goodness knows how high this subjective percentage can go. 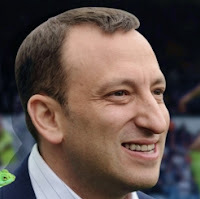 Bloom, a veteran gambler who owns Brighton and Hove Albion Football Club, made millions setting up an online bookmaker and poker websites in the 2000s, and his net worth — which is a mystery — is estimated by some to run into the billions. Despite the huge sums involved and the wild success enjoyed, both Starlizard and Bloom’s syndicate have gone largely unnoticed outside the world of professional gambling. Lancing itself is rural, surrounded by fields. But the school is a half-hour drive from Brighton and,according to former England cricket captain Mike Atherton's 2006 book "Gambling," Bloom used a fake ID during visits to town to get into betting shops at just 15 — three years below the UK’s legal age for sports betting. Starlizard's latest accounts, made up to June 2014, say the business is "diversifying revenue streams in order to reduce the risk of over-reliance on a particular client." In essence, the company is Bloom's gambling money manager. Starlizard and Bloom declined to comment on these specific claims. The odds generated in Exeter are passed back to the Camden office, where a team of "selectors" reviews them. This smaller team — about 20 people — operates like the traders in a bank. It tries to identify mispriced bets in the retail market, based on the team's internal odds, and decide just how much to stake on behalf of Bloom and other clients. The computer model is tweaked nearly constantly, according to former employees, and it uses statistical models to predict the likelihood of every possible scoreline. It then churns out what it sees as the most accurate handicap for the match — Leicester at 1.18 against Aston Villa, for example. Industry experts estimate there are up to 12 sizeable professional gambling syndicates worldwide, though exact figures are unclear. Some are even more clandestine than Starlizard, as they are involved in match-fixing. Starlizard doesn’t just follow major leagues like the Premier League. A former employee says, "Wherever there's football, they're betting on it." And management ensures there are regular treats to keep everyone sweet. One former employee described spending on staff parties as "obscene." Starlizard hires out exclusive bars and clubs in London in full — "They don't want any old riff raff turning up," one former employee joked. On these occasions, free drinks flow all night.